Chlorella provides the body with nearly all its nutritional needs, is a powerful Immune System Builder, daily detoxifier and is excellent for digestion! Chlorella helps your cells detox so you can rejuvenate from the inside out! Dr. Troy’s Chocolate Protein Powder contains high quality New Zealand whey protein from pristine herds! Importance of Vitamin D 120 – 5,000 i.u. Capsules of Vit D3 with probiotics for best absorption. Vitamin D is found in many dietary sources, such as fish, eggs, fortified milk, and cod liver oil. Omega 3 EFAs play a role in virtually every human function including: growth and development, digestion, brain and nerve function, immune function, hormone production and regulation, heart function, and maintenance of skin. 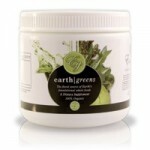 This is one of the best tasting greens I have ever tried. 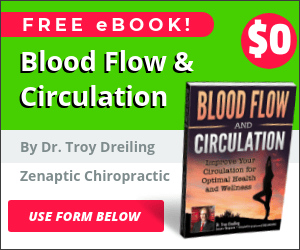 Our bodies are designed to absorb nutrition most effectively from supplements developed from organic whole food. This cervical wedge is great for your lower back. 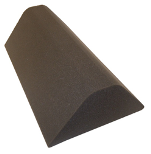 It’s technical name is an uncovered lumbo-dorsal fulcrum and the foam will not go flat! The low back support is used in the car and at home or office in chairs for all day support of the lumbar spine. 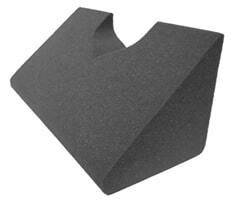 This cervical wedge is great for your neck. It’s technical name is an uncovered cervical fulcrum and the foam will not go flat! Spinal molding and Fulcrum exercises restore spinal curves. The Cervical Traction is used for loading and unloading to reestablish necessary motion in both the cervical and lumbar spine. The Chiroflow Waterbase pillow is the only pillow clinically shown in 3 independent clinical studies to improve sleep and reduce neck pain. The Chiroflow Memory Foam Pillow is completely adjustable by adding or removing water from the base. With a bio foam roller, you can control how much pressure you apply to the tissues that you’re working on, and you can locate and focus on areas that are problematic. The Wobble Disc strengthens the core stability muscles to help decrease back pain. Silver biotics spray helps boost your immune system. Organic Spirulina it is a naturally occurring cyanobacteria and very similar to alga. Dr. Troy’s Vanilla Protein is high quality New Zealand whey protein from pristin herds.